We commissioned The Merry West Collective to present a new series of short site specific performances called Where Do We Go From Here? which consisted of a pair of short performances in a variety of familiar locations around Wakefield City Centre. Each piece will bring a focus on pivotal moments of change in everyday situations. 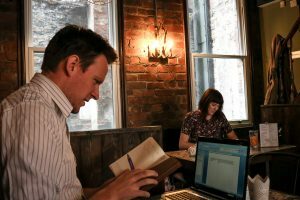 What did the idea of a ‘Manifesto For A New Wakefield’ from the brief mean to you, and how did that develop into the piece you created? The idea of a ‘Manifesto For A New Wakefield’ made me think about what I hope Wakefield would look like in the future and the opportunities for people. I remember when I left Wakefield to go study at University and how I felt about my hometown then, and how differently I feel about it now! So much has changed creatively and I often wonder what the city might be like in 10 or 20 years time, so I knew I wanted to focus on this idea of ‘change’. I always begin a project by scribbling my initial thoughts down onto paper. For this project I thought of all the things I want Wakefield to be, all the things it is now, and what all the people here do. Two of the key words that came out were ‘connected’ and ‘supported’ and then it was just a matter of creating work that linked these with moments of change and decision making. The initial idea was for just one play but as the work developed it was clear that shorter, more focussed performances would work better. Now it’s done, what do you feel the show was about? It sounds cheesy but a good friend once told me to just “write about what you know”, so themes in both pieces had a personal connection for me. The shows were both light hearted and positive, and showed how supportive we are in Wakefield – even in the little moments of life! It was great to have two shows to focus in on different aspects but still come back to a moment of change in someones life. Where Do We Go From Here? was definitely about looking to the future, whether that be long term or just to the next week. The shows were also about using spaces that aren’t traditional theatre spaces – we performed in a bar and a corridor! I love the idea that an audience has stumbled upon a moment in time for the characters, and are listening in on their conversations! It can also make people think differently about the place they are watching the performance in. Was the show being part of a wider festival a different approach for you and how did you find the audiences reacted? Yes I was definitely aware that there would be a wide variety of things happening throughout the festival, which made me think about how people might move around the city and the venues. This was a factor in the work developing into 2 separate short plays; it meant people could pop by and watch either show or both of them without taking up a huge time commitment. I spoke with a few audience members from the different performances we did across the festival, and their reactions were really positive and full of great feedback. 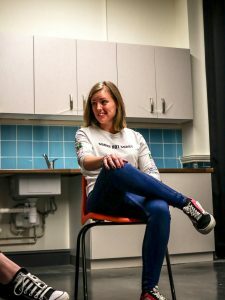 The general theme from people was that it was interesting to see theatre happen in places that they haven’t before, which was great as one of my original aims was to create new stories in familiar places to give people a different view on that location. One couple I spoke with said they come to Long Division every year and saw there was more than music, so decided to come along early and catch a few different things before the music began – which was great to hear! Did the commission enable you to do something you wouldn’t have done, or experiment in your medium in any way? I’ve been involved in other site specific performances, but it was great to have the opportunity to create something like this for Wakefield! It was interesting to have a starting point of ‘A Manifesto For A New Wakefield’ because its quite open yet specific at the same time. Also, this is the first time that The Merry West Collective have done two separate plays for the same project, and its already made us think a lot about how the pieces might develop (should they fit together? Should they have a central character? Should they be separate, stand alone stories? So many questions!). 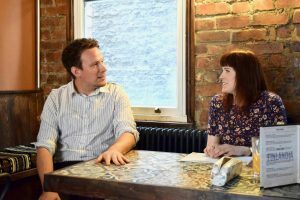 The Merry West Collective was created to be a place to collaborate and this commission enabled me to invite two new people to work alongside: Hayley Joy Irving and Pete Williamson. 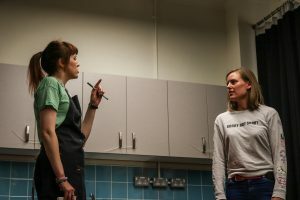 I’ve worked with Hayley as a performer on other theatre projects so it was exciting to have her on board as a writer and performer for this project. It was also really interesting to start with the same prompts (I gave Hayley the title for the project – Where Do We Go From Here? – and my key ideas for what I wanted the piece to focus on – support, connections, changes, decisions) and see how we created two different scripts! Where do we go from here? 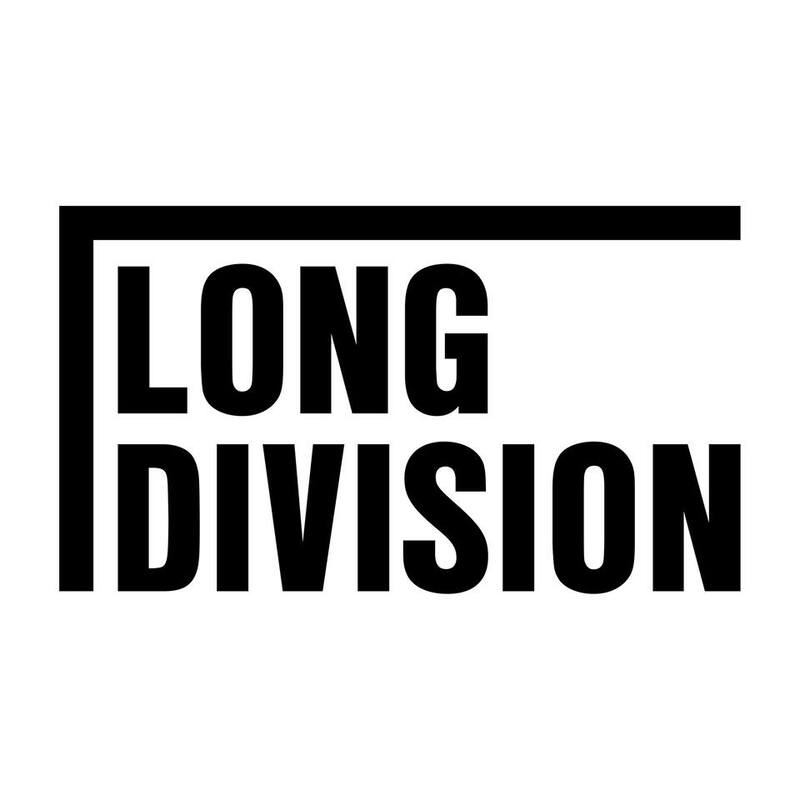 Well, we are looking at further developing the project and the scripts that were created for Long Division, along with other stories that didn’t get told this time around. There are so many great spaces in the city that would be ideal locations for short performances to happen, so it might be nice to create a little collection of short site specific performances. We are also looking at taking the shows to other places and festivals. The Merry West Collective is always on the look out to work with other creatives from different disciplines to make new work too, so who knows what will happen in the future! In the meantime, we will keep writing, creating and performing!